Due to the fact that Black People were detained in separate camps, the issue of Black Concentration Camps is dealt with in another chronology. Boer women, children and men unfit for service were herded together in concentration camps by the British forces during Anglo-Boer War 2 (1899-1902). The first two of these camps (refugee camps) were established to house the families of burghers who had surrendered voluntarily, but very soon, with families of combatant burgers driven forcibly into camps established all over the country, the camps ceased to be refugee camps and became concentration camps. The abhorrent conditions in these camps caused the death of 4 177 women, 22 074 children under sixteen and 1 676 men, mainly those too old to be on commando, notwithstanding the efforts of an English lady, Emily Hobhouse, who tried her best to make the British authorities aware of the plight of especially the women and children in the camps. September, Major-Gen J.G. Maxwell announces that "... camps for burghers who voluntarily surrender are being formed at Pretoria and Bloemfontein." This signals the start of what was to evolve into the notorious Concentration Camp Policy. 22 September, As result of a military notice on this date, the first two 'refugee' camps are established at Pretoria and Bloemfontein. Initially the aim was to protect the families of burghers who had surrendered voluntarily and their families by the institution of these camps. As the families of combatant burghers were also driven into these and other camps, they ceased to be 'refugee' camps and became 'concentration' camps. 20 December, A proclamation issued by Lord Kitchener states that all burghers surrendering voluntarily, will be allowed to live with their families in Government Laagers until the end of the war and their stock and property will be respected and paid for. 21 December, Contrary to the announced intention, Lord Kitchener states in a memorandum to general officers the advantages of interning all women, children and men unfit for military services, also Blacks living on Boer farms, as this will be "the most effective method of limiting the endurance of the guerrillas... "The women and children brought in should be divided in two categories, viz. : 1st. Refugees, and the families of Neutrals, non-combatants, and surrendered Burghers. 2nd. Those whose husbands, fathers and sons are on Commando. The preference in accommodation, etc. should of course be given to the first class. With regard to Natives, it is not intended to clear ... locations, but only such and their stock as are on Boer farms." 21 January, Emily Hobhouse, an English philanthropist and social worker who tried to improve the plight of women and children in the camps, obtains permission to visit concentration camps. Lord Kitchener, however, disallows visits north of Bloemfontein. 24 January, Emily Hobhouse visits Bloemfontein concentration camps and is appalled by the conditions. Due to limited time and resources, she does not visit the camp for Blacks, although she urges the Guild of Loyal Women to do so. 30 January, Pushing panic-stricken groups of old men, women and children, crowded in wagons and preceded by huge flocks of livestock in front of them, French's drive enters the south-eastern ZAR (Transvaal). 31 January, Mrs Isie Smuts, wife of Gen. J.C. Smuts, is sent to Pietermaritzburg and placed under house arrest by the British military authorities, despite her pleas to be sent to concentration camps like other Boer women.Concentration camps have been established at Aliwal North, Brandfort, Elandsfontein, Heidelberg, Howick, Kimberley, Klerksdorp, Viljoensdrift, Waterfall North and Winburg. 25 February, A former member of the Free State Volksraad, H.S. Viljoen, and five other prisoners are set free from the Green Point Camp near Cape Town. They are sent to visit Free State concentration camps with the intention of influencing the women in the camps to persuade their husbands to lay down their arms. They are met with very little success. 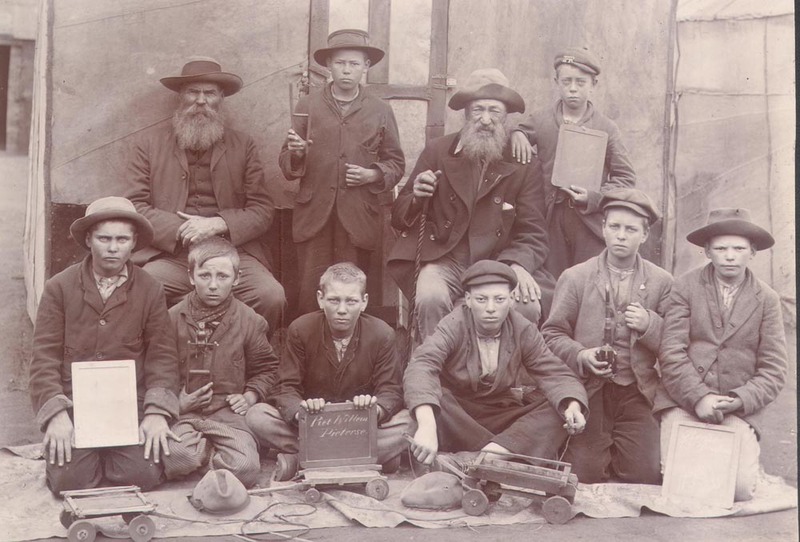 27 February, Discriminatory food rations - 1st class rations for the families of 'hands-uppers' and 2nd class for the families of fighting burghers or those who refuse to work for the British - are discontinued in the 'Transvaal' concentration camps. 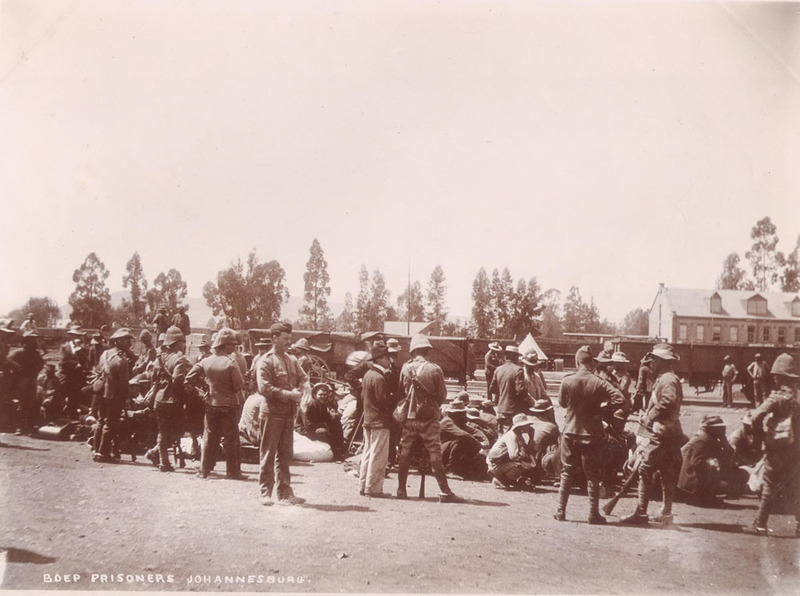 28 February, Concentration camps have been established at Kromellenboog, Middelburg, Norvalspont, Springfontein, Volksrust, and Vredefort Road.At the Middelburg conference between Supreme Commander Lord Kitchener and Commandant-General Louis Botha, Kitchener comments to Lord Roberts, now Commander-in Chief at the War Office in London: "They [referring to the Burghers S.K.] evidently do not like their women being brought in and I think it has made them more anxious for peace." The conference is discussing terms of a possible peace treaty.Sir Alfred Milner leaves Cape Town for Johannesburg to take up his duties as administrator of the 'new colonies'. 1 March, Concentration camps in the 'Orange River' and 'Transvaal' Colonies are transferred to civil control under Sir Alfred Milner. 4 March, Emily Hobhouse visits the Springfontein concentration camp. 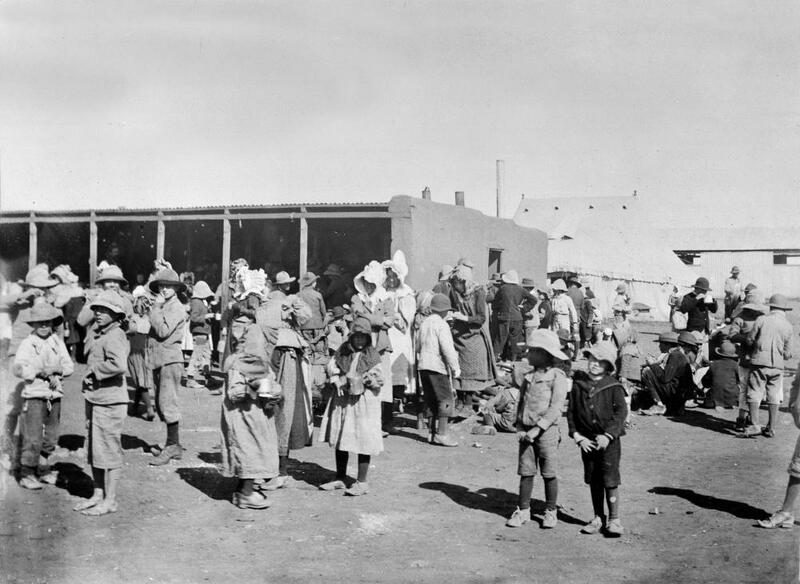 6 March, Discriminatory food rations are also discontinued in the 'Orange River Colony' camps. 8 March, Emily Hobhouse visits the Norvalspont concentration camp. 12 March, Emily Hobhouse visits the Kimberley concentration camp. 9 April, Emily Hobhouse visits the Mafeking concentration camp. 12 April, Emily Hobhouse witnesses the clearing of Warrenton and the dispatch of people in open coal trucks. 13 April, Emily Hobhouse returns to Kimberley, witnessing the arrival of the people removed from Warrenton at the Kimberley camp, where there are only 25 tents available for 240 people. 20 April, The towns of Parys and Vredefort and many outlying farms have been cleared of inhabitants and supplies. The women and children have been removed to concentration camps. 21 April, Emily Hobhouse arrives in Bloemfontein. 23 April, Sir Alfred Milner refuses to issue a permit to Emily Hobhouse authorising her to travel north of Bloemfontein. 4 May, Emily Hobhouse arrives in Cape Town. 7 May, Emily Hobhouse leaves for Britain after an extended fact-finding tour of the concentration camps. 14 June, Speaking at a dinner party of the National Reform Union in England, Sir Henry Campbell-Bannerman, leader of the Liberal opposition, says the war in South Africa is carried on by methods of barbarism. 17 June, David Lloyd-George in England condemns the concentration camps and the horrors inflicted on women and children in the camps in South Africa. He warns, "A barrier of dead children's bodies will rise between the British and Boer races in South Africa." 18 June, Emily Hobhouse's report on concentration camps appear under the title, "To the S.A. Distress Fund, Report of a visit to the camps of women and children in the Cape and Orange River Colonies". Summarising the reasons for the high fatality rate, she writes, "Numbers crowded into small tents: some sick, some dying, occasionally a dead one among them; scanty rations dealt out raw; lack of fuel to cook them; lack of water for drinking, for cooking, for washing; lack of soap, brushes and other instruments of personal cleanliness; lack of bedding or of beds to keep the body off the bare earth; lack of clothing for warmth and in many cases for decency ..." Her conclusion is that the whole system is cruel and should be abolished. 26 June, Lord Kitchener, in a telegram to Milner: "I fear there is little doubt the war will now go on for considerable time unless stronger measures are taken ... Under the circumstances I strongly urge sending away wives and families and settling them somewhere else. Some such unexpected measure on our part is in my opinion essential to bring war to a rapid end." 27 June, The British War Department promises to look into Emily Hobhouse's suggestions regarding improvements to the concentration camps. 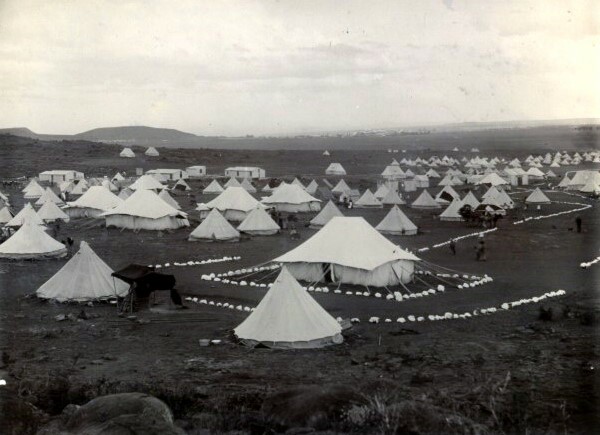 30 June, The official camp population is 85 410 for the White camps and the deaths reported for June are 777. 15 July, Dr K. Franks, the camp doctor at the Mafeking concentration camp reports that the camp is "overwhelmed" by 1 270 women and children brought in after sweeps on the western ZAR (Transvaal). Lack of facilities ads to the hardships encountered by the new arrivals. 16 July, The British Colonial Office announces the appointment of a Ladies Commission to investigate the concentration camps in South Africa. The commission, whose members are reputed to be impartial, is made up as follows:Chairlady Mrs Millicent G. Fawcett, who has recently criticised Emily Hobhouse in the Westminster Gazette; Dr Jane Waterson, daughter of a British general, who recently wrote against "the hysterical whining going on in England" while "we feed and pamper people who had not even the grace to say thank you for the care bestowed on them"; Lady Anne Knox, wife of Gen. Knox, who is presently serving in South Africa; Nursing sister Katherine Brereton, who has served in a Yoemanry Hospital in South Africa; Miss Lucy Deane, a government factory inspector on child welfare; Dr the Hon Ella Scarlett, a medical doctor. One of the doctors is to marry a concentration camp official before the end of their tour. 20 July, Commenting on confiscation of property and banishment of families, St John Brodrick, British secretary of State for War, writes to Kitchener: "... Your other suggestion of sending the Boer women to St Helena, etc., and telling their husbands that they would never return, seems difficult to work out. We cannot permanently keep 16,000 men in ring fences and they are not a marketable commodity in other lands ..."
25 July, Since 25 June, Emily Hobhouse has addressed twenty-six public meetings on concentration camps, raising money to improve conditions. 26 July, Emily Hobhouse again writes to Brodrick asking for reasons for the War Department's refusal to include her in the Ladies Commission. If she cannot go, "it was due to myself to convey to all interested that the failure to do so was due to the Government". 27 July, St John Rodrick replies to Emily Hobhouse's letter, "The only consideration in the selection of ladies to visit the Concentration Camps, beyond their special capacity for such work, was that they should be, so far as is possible, removed from the suspicion of partiality to the system adopted or the reverse." 31 July, The officially recorded camp population is 93 940 for the White camps and the deaths for July stands at 1 412. 16 August, General De la Rey protests to the British against the mistreatment of women and children. 20 August, Col. E.C. Ingouville-Williams' column transports Gen. De la Rey's mother to the Klerksdorp concentration camp. A member of the Cape Mounted Rifles notes in his diary: "She is 84 years old. I gave her some milk, jam, soup, etc. as she cannot eat hard tack and they have nothing else. We do not treat them as we ought to." 31 August, The officially recorded camp population for White camps is 105 347 and the camp fatalities for August stand at 1 878. 13 September, The Merebank Refugee Camp is established near Durban in an attempt to reduce the camp population in the Republics. Its most famous inmates are to be Mrs De Wet and her children. 30 September, Cornelius Broeksma is executed by an English firing squad in Johannesburg after having been found guilty of breaking the oath of neutrality and inciting others to do the same. A fund is started in Holland for his family and for this purpose a postcard with a picture of himself and his family is sold, bearing the inscription: "Cornelius Broeksma, hero and martyr in pity's cause. Shot by the English on 30th September 1901, because he refused to be silent about the cruel suffering in the women's camps. "The officially recorded camp population of the White camps is 109 418 and the monthly deaths for September stand at 2 411. 1 October, Emily Hobhouse again urges the Minister of War, "in the name of the little children whom I have watched suffer and die" to implement improvements in the concentration camps. 26 October, As the commandoes in the Bethal district, Transvaal, become wise to Benson's night attacks, his success rate declines and he contents himself with 'ordinary clearing work' - burning farms and herding women, children, old men and other non-combatants with their livestock and vehicles. 27 October, Emily Hobhouse arrives in Table Bay on board the SS Avondale Castle, but is refused permission to go ashore by Col. H. Cooper, the Military Commandant of Cape Town. 29 October, Reverend John Knox Little states in the United Kingdom: "Among the unexampled efforts of kindness and leniency made throughout this war for the benefit of the enemy, none have surpassed the formation of the Concentration Camps". 31 October, Despite letters of protest to Lord Alfred Milner, Sir Walter Hely-Hutchinson and Lord Ripon, Emily Hobhouse, although unwell, is forced to undergo a medical examination. She is eventually wrapped in a shawl and physically carried off the Avondale Castle. She is taken aboard the Roslin Castle for deportation under martial law regulations.The officially recorded camp population of White camps is 113 506 and the deaths for October stand at 3 156. 1 November, Miss Emily Hobhouse, under deportation orders on board the Roslin Castle writes to Lord Kitchener: "... I hope in future you will exercise greater width of judgement in the exercise of your high office. To carry out orders such as these is a degradation both to the office and the manhood of your soldiers. I feel ashamed to own you as a fellow-countryman. "And to Lord Milner: "Your brutal orders have been carried out and thus I hope you will be satisfied. Your narrow incompetency to see the real issues of this great struggle is leading you to such acts as this and many others, straining [staining S.K.] your own name and the reputation of England..."
7 November, The Governor of Natal informs St John Brodrick that the wives of Pres. Steyn, General Paul Roux, Chief Commandant C.R. de Wet, Vice President Schalk Burger and Gen. J.B.M. Hertzog, the last four all presently in Natal, are to be sent to a port, other than a British port, outside South Africa.Lord Milner, referring to the concentration camps, writes to British Colonial Secretary Joseph Chamberlain: "I did not originate this plan, but as we have gone so far with it, I fear that a change now might only involve us in fresh and greater evils." 15 November, In his 'General Review of the Situation in the Two New Colonies', Lord Milner reports to Chamberlain, "... even if the war were to come to an end tomorrow, it would not be possible to let the people in the concentration camps go back to their former homes. They would only starve there. The country is, for the most part, a desert..."
16 November, On being questioned by St John Brodrick on his motivations for proposing the deportation of prominent Boer women, Kitchener cancels his orders. 21 November, Referring to a 'scorched earth' raid, Acting State President S.W. Burgers and State Secretary F.W. Reitz address a report to the Marquis of Salisbury, the British Prime Minister: "This removal took place in the most uncivilised and barbarous manner, while such action is ... in conflict with all the up to the present acknowledged rules of civilised warfare. The families were put out of their houses under compulsion, and in many instances by means of force ... (the houses) were destroyed and burnt with everything in them ... and these families among them were many aged ones, pregnant women, and children of very tender years, were removed in open trolleys (exposed) for weeks to rain, severe cold wind and terrible heat, privations to which they were not accustomed, with the result that many of them became very ill, and some of them died shortly after their arrival in the women's camps." The vehicles were also overloaded, accidents happened and they were exposed to being caught in crossfire. They were exposed to insults and ill-treatment by Blacks in service of the troops as well as by soldiers. "...British mounted troops have not hesitated in driving them for miles before their horses, old women, little children, and mothers with sucklings to their breasts ..."
30 November, The officially recorded camp population of the White camps is 117 974 and the deaths for November are 2 807. 1 December, Fully aware of the state of devastation in the Republics, and trying to force the Boer leadership to capitulate, Lord Milner approves a letter that Kitchener sends to London, with identical copies to Burger, Steyn and De Wet. In the letter he informs them that as they have complained about the treatment of the women and children in the camps, he must assume that they themselves are in a provision to provide for them. He therefore offers all families in the camps who are willing to leave, to be sent to the commandos, as soon as he has been informed where they can be handed over. 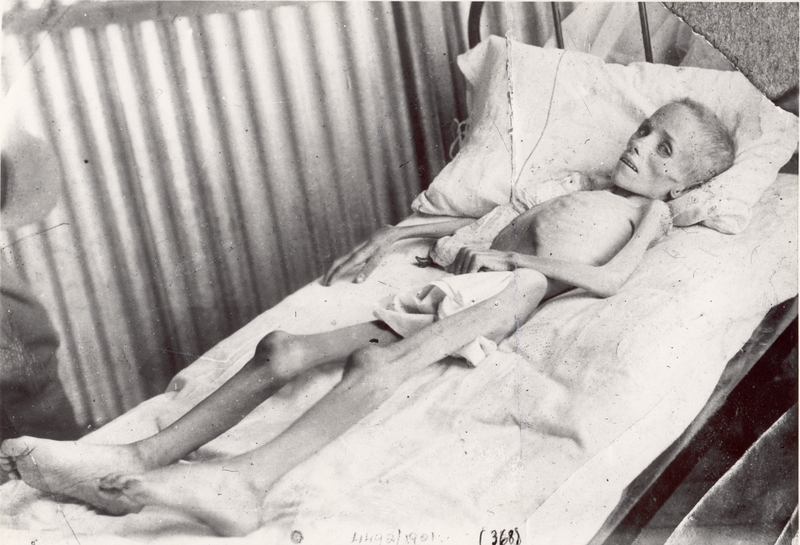 4 December, Lord Milner comments on the high death rate in the Free State concentration camps: "The theory that, all the weakly children being dead, the rate would fall off, it is not so far borne out by the facts. I take it the strong ones must be dying now and that they will all be dead by the spring of 1903! ..."
7 December, In a letter to Chamberlain, Lord Milner writes: "... The black spot - the one very black spot - in the picture is the frightful mortality in the Concentration Camps ... It was not until 6 weeks or 2 months ago that it dawned on me personally ... that the enormous mortality was not incidental to the first formation of the camps and the sudden inrush of people already starving, but was going to continue. The fact that it continues is no doubt a condemnation of the camp system. The whole thing, I now think, has been a mistake." 8 December, Commenting on the concentration camps, Lord Milner writes to Lord Haldane: "I am sorry to say I fear ... that the whole thing has been a sad fiasco. We attempted an impossibility - and certainly I should never have touched the thing if, when the 'concentration' first began, I could have foreseen that the soldiers meant to sweep the whole population of the country higgledy piggledy into a couple of dozen camps ... "
10 December, President Steyn replies to the British Commander-in-Chief Lord Kitchener's letter about releasing the women and children, that, however glad the burghers would be to have their relatives near them, there is hardly is single house in the Orange Free State that is not burnt or destroyed and everything in it looted by the soldiers. The women and children will be exposed to the weather under the open sky. On account of the above-mentioned reasons they have to refuse to receive them. He asks Kitchener to make the reasons for their refusal known to the world. 11 December, In his reply to Kitchener's letter about the release of women and children, Chief Commandant De Wet says: "I positively refuse to receive the families until such time as the war will be ended, and we shall be able to vindicate our right by presenting our claims for the unlawful removal of and the insults done to our families as well as indemnification on account of the uncivilised deed committed by England by the removal of the families ..."
12 December, The report of the Ladies Commission (Fawcett Commission) is completed on this day, but is only published during February 1902. The Commission is highly critical of the camps and their administration, but cannot recommend the immediate closure of the camps "... to turn 100 000 people new being fed in the concentration camps out on the veldt to take care of themselves would be a cruelty; it would be turning them out to starvation..." The Commission substantiated the most Emily Hobhouse's serious charges, bur reviled her for her compassion for enemy subjects. 22 December, On Peace Sunday, Dr Charles Aked, a Baptist minister in Liverpool, England, protests: "Great Britain cannot win the battles without resorting to the last despicable cowardice of the most loathsome cur on earth - the act of striking a brave man's heart through his wife's honour and his child's life. The cowardly war has been conducted by methods of barbarism ... the concentration camps have been Murder Camps." He is followed home by a large crowd and they smash the windows of his house. 31 December, The camp population in White camps is 89 407 with 2 380 deaths during December. 22 January, In a daring exploit, General Beyers and about 300 men seize the concentration camp at Pietersburg and take the camp superintendent and his staff prisoner. After all-night festivities with wives, friends and family, the superintendent and his staff are released the next day on the departure of Beyers. 31 January, The officially reported White camp population is 97 986 and the deaths for January are 1 805. 4 March, The long-delayed report of the Ladies Commission (Fawcett Commission) on the concentration camps is discussed in the House of Commons. The Commission concludes that there are three causes for the high death rate: "1. The insanitary condition of the country caused by the war. 2. Causes within the control of the inmates. 3. Causes within the control of the administration." The Opposition tables the following motion: "This House deplores the great mortality in the concentration camps formed in the execution of the policy of clearing the country." In his reply Chamberlain states that it was the Boers who forced the policy on them and the camps are actually an effort to minimise the horrors of war. The Opposition motion is defeated by 230 votes to 119. 24 March, Mr H.R. Fox, Secretary of the Aborigines Protection Society, after being made aware by Emily Hobhouse of the fact that the Ladies Commission (Fawcett Commission) ignored the plight of Blacks in concentration camps, writes to Joseph Chamberlain, Colonial Secretary. He requests that such inquiries should be instituted by the British government "as should secure for the natives who are detained no less care and humanity than are now prescribed for the Boer refugees". On this request Sir Montagu Ommaney, the permanent under-secretary at the Colonial Office, is later to record that it seems undesirable "to trouble Lord Milner ... merely to satisfy this busybody". 9 April, Emily Hobhouse's 42nd birthday. 30 April, The officially reported population of the White camps is 112 733 and the death toll for April stands at 298. 15 May, Sixty Republican delegates take part in a three-day conference in Vereeniging, debating whether to continue fighting or end the war.Complicated negotiations continue between Boer delegates among themselves and British delegates, also with different opinions, up to the end of May.During the peace negotiations Acting President Schalk Burger of the ZAR (South African Republic/Transvaal) says: "... it is my holy duty to stop this struggle now that it has become hopeless ... and not to allow the innocent, helpless women and children to remain any longer in their misery in the plaque-stricken concentration camps ..."
31 May, The officially reported camp population of the White camps is 116 572 and the deaths for May are 196.The final peace conditions, comprised in The Treaty of Vereeniging, is signed by representatives of both the Burghers and the British at 23:05 at Melrose House, Pretoria.After this, inhabitants of the concentration camps were gradually released as burghers came to claim the members of their families still living, while other left on their own to return to their burnt-down houses and farms. 27 927 persons died in the camps, 1 676 men, mainly those too old to be on commando, 4 177 women and 22 074 children under sixteen. • Cloete, P.G. ( 2000). The Anglo-Boer War: a chronology, Pretoria: Lapa. • Potgieter, D.J. et al. (eds)(1970). Standard Encyclopaedia of Southern Africa, Cape Town: NASOU, v. 3, p. 378-380. • Potgieter, D.J. et al. (eds)(1970). Standard Encyclopaedia of Southern Africa, Cape Town: NASOU, v. 5, p. 544-546.